Thank you April Khaito for the Writing Process Blog Tour invite! April Khaito is a writer based in Las Vegas, NV and working on her first novel. Once upon a time she wanted to be an architect until she realized that words often last longer than buildings–if they’re formed of sturdy construction and easily inhabitable by those seeking shelter in their pages. She has an accounting degree from the University of Nevada-Las Vegas, but don’t hold it against her. The right and left brain aren’t so far apart. She is one of the contributors for The Write Shelf. I’m currently working on a YA urban fantasy. I don’t want to give too many details right now because I am working with an editor (one last major edit). Here is my hint, one of the agents described it as a dark version of the Little Mermaid :). I have several full requests for this manuscript. I am hoping to land an agent who is a good fit for me. I will keep everyone posted. I believe there are many wonderful writers out there, so I think this question is difficult to answer! I’m not sure how “different” my work is, but I will discuss a little about my style. Because I am a nurse, I like to include medical scenarios or various aspects of medicine. I am half Puerto Rican and half Korean, so I like to write about multicultural characters, places or themes. My current book is dark, yet warm. I like fantasy because I can take real life elements and discuss them in a metaphorical type of way. I also love writing YA work because YA’s experience everything so lively- that first kiss, first heartbreak, confusion with identity, forced to grow up too quickly, etc. I believe I explained why I write YA in the previous question. I’ll discuss briefly on why I started writing in general. I’ve always had a real imaginative side to me. I was a storyteller for my siblings as a child. I honestly never had the confidence to put my stories on paper. I went the safe route and completed a ton of schooling (all the way to my PhD). I am grateful for this path because I learned a lot, and the PhD program helped me in three ways with my writing: it helped me to be a better technical writer, the rigorousness of it caused me to want to escape into imagination land even more, and it gave me the confidence that I can put my thoughts on paper. Writing allows me to escape somewhere deeper within myself, and I hope this shows through my characters. I tried the “sit down and just write what comes to your head” approach and it did help me to finish a novel, but there were many flaws to it. I think the “organize, plan, with the use of a general outline” helps me a lot more. It helps me to see the changes in my characters. I will admit that sometimes characters just take charge and take on a greater role than I intended. I think it’s important to leave freedom for inspiration and development of the story as it’s written. The one thing I do is set a constant time to write. This helps me to continually get something in writing and keep my creative juices flowing. I’m an early morning person, so I usually write in the morning. 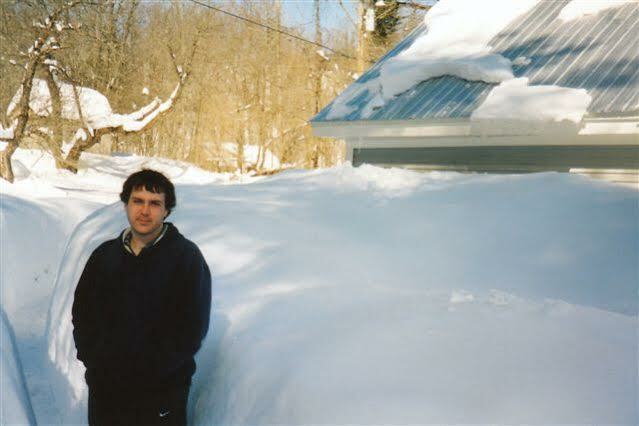 Michael S. Fedison was born in Rochester, New York, and now lives with his wife, Sarah, and regal cat, Luke, in the green hills of central Vermont. Michael has been writing creatively for as long as he can remember, and has had short fiction published in several literary magazines, including Iconoclast and The Written Word. He works as a full-time technical writer and also is a freelance proofreader and copy editor. Michael has been a lover of imaginative stories his entire life. He enjoys any story that takes you by the hand, lifts you up, and transports you to another place, a new and creative way of looking at the world around us. His website is http://eyedancers.wordpress.com/, Facebook page is https://www.facebook.com/pages/The-Eye-Dancers/213004492164436, Twitter page is https://twitter.com/msfedison27, and Goodreads page is http://www.goodreads.com/author/show/6592469.Michael_S_Fedison. Gayle Thompson is an entertainment new journalist, contributing daily for Townsquare Media’s website, www.theboot.com (formerly owned by AOL Music). She has also written for Rolling Stone, CBS Radio and various other news sites. In addition to writing and blogging at gaylelthompson.blogspot.com, she is also working on a science fiction novel and a cookbook. Gayle is happily married, the proud mother of a very active two-year-old boy, in the middle of adopting a daughter from India, and loves to cook, read, travel and drink a lot of coffee. Natalie Dumas-Heidt is a writer of adult crime fiction, and is working on finding representation for her first novel. She started writing as a child, and moved from poetry to crime novels while working as a police dispatcher. She now has a regular day job, and lives in Salt Lake City with her husband and their three teens. When not working or writing, she enjoys spending time with her family, home projects, and working on kiln-fused glass. 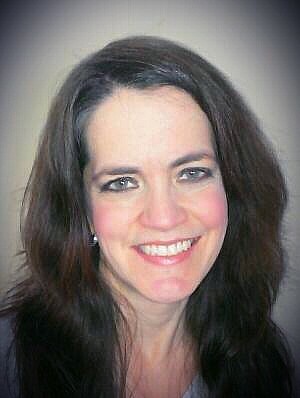 You can find her on her website at www.nataliedh.com, on Twitter at @MeAndMyQuil https://twitter.com/MeAndMyQuil, and on Facebook at https://www.facebook.com/pages/Natalie-Dumas-Heidt-Books/238518192938749.